‘Tis the season of giving, and several residents of Ambergris Caye are doing just that. While many reserve the holiday season for showering their family with love and presents, islanders such as Finley Halliday and friends are reaching out beyond the household to bring a little joy to those less fortunate. 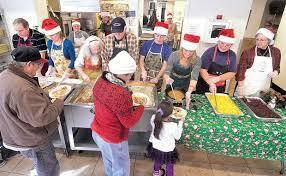 Halliday has been busy at work organizing a Soup Kitchen for Christmas Day lunch. After putting a call out on Facebook, stating his attempts to organize the kitchen, Halliday says he has received a tremendous outpouring of support from several businesses and people willing to donate to the cause. “What we want to do is make a lunch and have a traditional turkey dinner, and treats for the people that are less fortunate and people that won’t have a Christmas meal this year,” says Halliday. Because the soup kitchen is intended to provide meals for as many families as possible, the call remains open for more support. People are welcome to contribute either cash or food items such as flour, stuffing, rice, beans vegetables or canned foods, as they aim to also distribute goodie bags to the families after the Christmas Day lunch. The lunch will take place on December 25th from noon to 3PM at Raise Me Up on Black Coral Street. Invitations will be sent out to several households to attend. Soup kitchen boxes will be placed at several businesses around town, and people are welcome to drop in their donations of dry food items. Halliday thanks everyone who has helped him along the way, including Raise Me Up for offering their venue, Jeff Spiegal from Rojo for his motivation and support, and everyone else that has contributed in any way. Halliday also states his interest in carrying on the soup kitchen beyond the holiday season. He is hopeful that with time and continued support, the kitchen can operate bi-weekly or monthly to provide meals to those who are in need. If you are interested in contributing or assisting in some way please contact Halliday at 226-4012. World Aids Day observed today!